I have no regrets, as usual, about visiting your blog. The fun creative names will get me every time! Playdough? really? stick to your favourite, mine is honeycomb but I might be partial to a pothole! I am a huge fan of creative names in all things, especially ice cream. I recently read a story about a little girl who was lost She was found safely with her dog “Fat Heath,”​ a Yorkie, by her side. I need to know more about Fat Heath! No. No. No. Stop at chocolate. The two out-there sure look different, Beth! Those are some zany flavors! as always- done in good taste, Beth:) We have a road here called “rock riffle” which i think sounds like great name for ice cream, and plenty of prototype potholes, too. 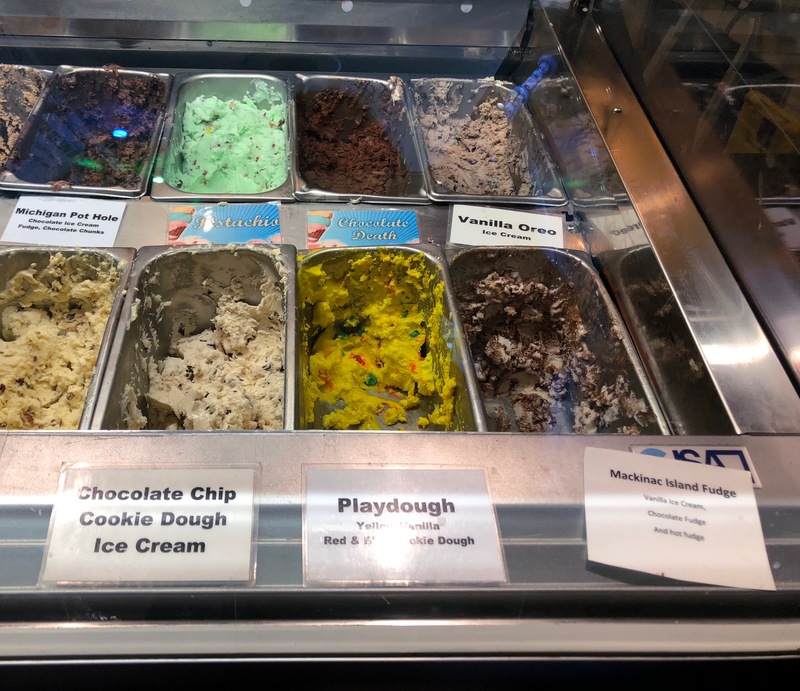 Play dough, that is definitely for the really young ones, only they would taste playdough…..
Because there is cookie dough, I will venture no further 🙂 and also have no regrets. Sometimes had to go for tough choices, but there will always be a safe option to choose. Which did you choose? And what was it like?